Our Construction Management services, administered by experienced construction managers and administrators, effectively minimize your risk and maximize your return on investment. 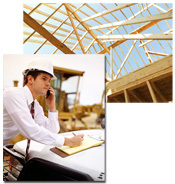 Design Build Concepts uses a construction management system to administer the construction of your facility. Rather than taking a general contractor approach, the use of a construction manager allows DBC to act as a representative of your financial institution. While the relationship and methodology differs from a general contractor, we do maintain and take responsibility for the GC licenses required for all construction that we manage. Click here to view images of a few current construction projects.